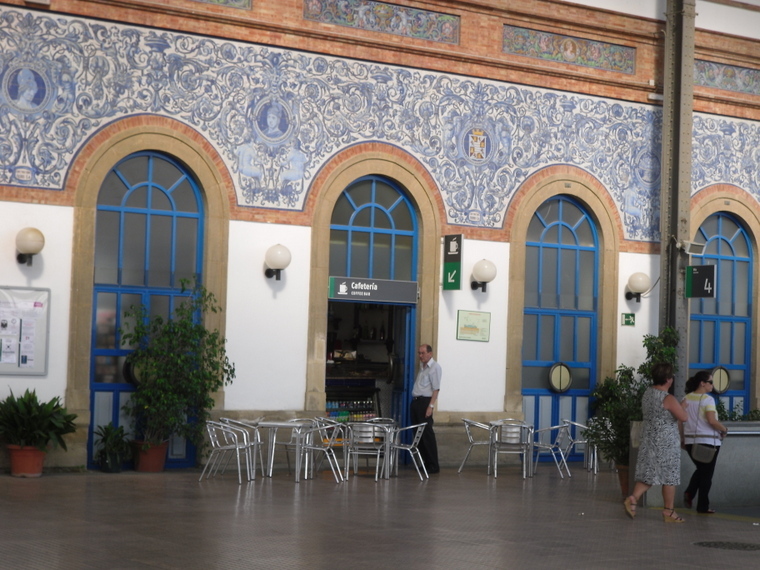 I read this morning on the hosteltur website that Renfe, the Spanish rail network, has introduced the Spain Pass to make travelling around the country cheaper and easier for international visitors. The pass is valid on AVE high-speed services and also Long Distance and Medium Distance trains – which are similar but not quite as fast. Available online from Renfe, at stations or at travel agencies, the pass enables you to take from four to 12 journeys over a period of up to a month, starting from the first journey you take, rather than the date of purchase. Once you have your pass, you just need to make an online reservation on the train you want at no extra charge – 0r do it at stations or travel agencies; you can’t just turn up and get on. Prices in economy start at €163 for four journeys, rising to €392 for 12 journeys. In business class, prices range from €229 to €550. If you did four journeys buying normal tickes, starting with Madrid to Seville, then Seville to Valencia, Valencia to Barcelona and finally Barcelona back to Madrid, it would cost about €350, so it’s quite a saving. The pass will apparently also include discounts or free admission at museums and attractions, but I can’t find any details of that yet. Sounds like a really good deal though, and I’ll definitely be giving it a try soon. Great, some enterprise, well done Renfe. Hopefully an inspiration to other companies.